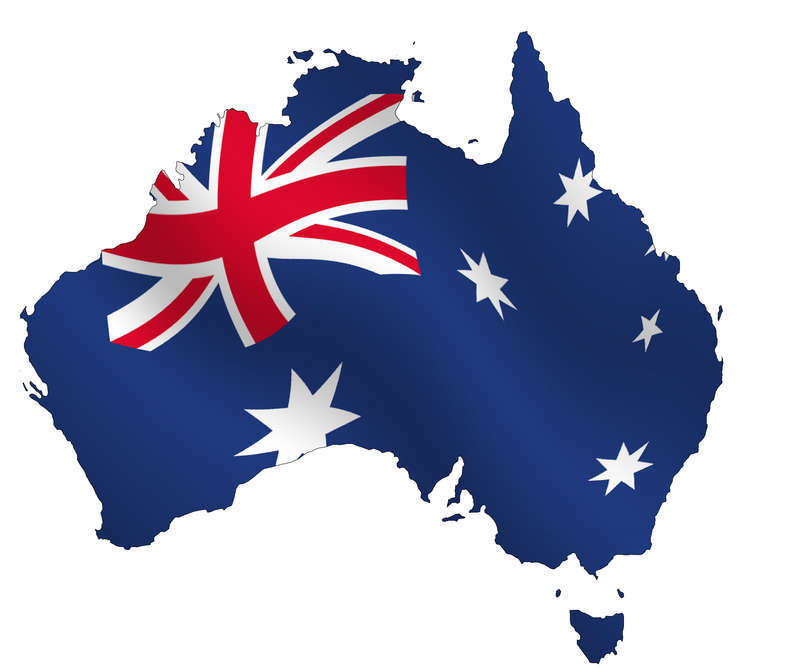 On Friday last week, ABC’s PM programme carried a report about criticisms that have been made of a peer-reviewed paper published last July in the Journal of Geophysical Research, by John McLean, Chris de Freitas and Bob Carter (hereafter MFC). The original paper compared the global atmospheric temperature since 1958 with variations in the El Nino-Southern Oscillation (ENSO) climatic framework. This analysis supported earlier research that demonstrates a close link between these factors. It also indicated that ENSO variation accounts for a very large portion of the variability in global temperature, thus leaving little room for a substantial human influence on temperature. 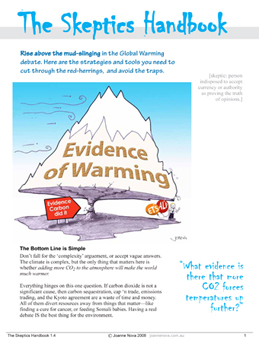 ABC’s Sarah Clarke reported the story as “Another round in climate science wars”, and provided a balanced account of what she saw as the two science sides of the story. Unfortunately, in so doing she largely missed another significant aspect of the affair – the attempt by a number of scientists – who are known to be both alarmist and influential in advising on climate science policy – to stifle the results of a research paper that disagrees with their belief. 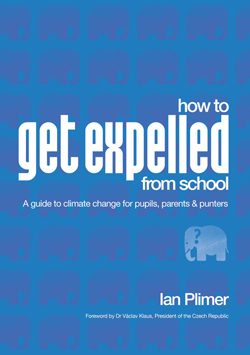 Those attempting this censorship include some with strong links to the IPCC, for example Phil Jones of the CRU and Michael Mann of hockey-stick notoriety, and remember that it is on the IPCC’s advice that the Rudd government relies in setting Australia’s national global warming policy. As the British press highlighted during January and February this year, it is a story of no small substance when corrupt, inaccurate or deliberately misleading advice emanates from the official United Nations advisory body on climate science or from scientists who are associated with it. Remember, too, that according to CEO Megan Clark no fewer than 40 CSIRO scientists have associations with the IPCC. It’s fair to say we don’t understand these ripples. We don’t understand the downward trend that occurred in 1900 or in 1940. We don’t fully understand the plateau in the last decade. A “tipping point” appears to be at hand for James Hansen, the longtime Al Gore adviser and godfather of the modern global warming movement. Hansen now seems so disgusted with the conditions of his employment — on the taxpayer dime — that he no longer sees the conditions as acceptable. As PJM readers know, NASA’s Goddard Institute for Space Studies (GISS) got caught sexing up the post-2000 U.S. temperatures. I asked NASA for emails and other documents regarding their discussions about this. After more than two years, NASA coughed up some emails under the Freedom of Information Act, revealing internal discussions (and one particularly revealing external conversation) about losing data and other credibility issues. They also revealed discussion about NASA’s data being less reliable than — and indeed reliant upon — the non-existent Climategate temperature history from Britain’s Climate Research Unit (CRU). It is rather sad, and pathetic, that we have to go to the British press to find robust investigative reporting about the theory of man-made global warming. Apart from this country’s national newspaper, The Australian, you could almost believe that the mantra that “the science is settled”, is true. If you follow the line of the ABC and much of the mainstream press, to question the science of climate-change is to be un-Australian and un-Earth. Well, the science isn’t settled — not by a long shot — and the battle continues. 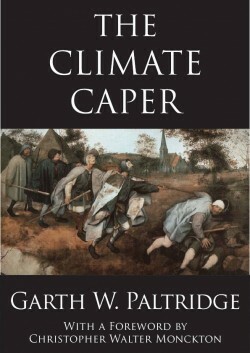 Having been mugged at Copenhagen, embarrassed out of their wits by the scandal that was Himalaya-glacier-Gate, and facing a planet that doesn’t seem to want to respond to the dire predictions of the most learned­ — the lads and lasses at the IPCC have been desperate in their attempts to block the rising tide of public sceptisism. So we have waited, with our breath bated, for a indication as to how they will deal with a growing, non-believing public. Apart from the “science is settled” spin, which is code for “don’t question us”, the other side of the debate has been the “Outrageous-Claims Department”. This is where the dedicated followers of climate let pass for science any outrageous claim made by any of their front-line “experts”. Al Gore, Tim Flannery, James Hansen, Penny Wong, Kevin Rudd and Dr Pachauri. What do you do when scientists and political leaders blindly allow false claims to go uncorrected. When they must know that there isn’t a “new” change-in-climate because the climate has always changed. It’s what climate does. Sea-levels have always risen or dropped, ice-caps have always built up or shrunk, river systems have always developed, and in certain periods in history, just simply disappeared. 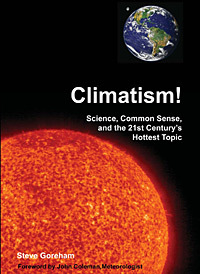 History may see the interview of CRU’s Professor Phil Jones by the BBC’s Roger Harrabin on 12 February 2010 as the opening of the end-phase of the long-running “alarmists versus sceptics” debate. The mystery deepens: Where did that decline go? Frank Lansner has done some excellent follow-up on the missing “decline” in temperatures from 1940 to 1975, and things get even more interesting. Recall that the original “hide the decline” statement comes from the ClimateGate e-mails and refers to “hiding” the tree ring data that shows a decline in temperatures after 1960. It’s known as the “divergence problem” because tree rings diverge from the allegedly measured temperatures. But, Frank shows that the peer reviewed data supports the original graphs, and that real measured temperatures did decline from 1960 onwards…sharply. Yet, in the GISS version of that period, temperatures from the cold 1970’s were repeatedly “adjusted” years later, and progressively made warmer. The most mysterious period is from 1958 to 1978, when a steep 0.3C decline was initially recorded in the Northern Hemisphere. Years later, this was reduced so far it became a mild warming against the detailed corroborating roabcore evidence. Raobcore measurements are balloon readings. How accurate are they? They started in 1958, twenty years before satellite temperature records (which are renowned for their accuracy). Put the two methods side-by-side, and they tie together neatly, telling us that both of them are accurate, reliable tools. Oops! There go another two bricks, tumbling out of the IPCC wall of deceit on man-made global warming – there is not a lot left now; even the Berlin Wall (to which the AGW construct is ideologically allied) has survived better. Unhappily for Al, Phil, Michael, George and the rest of the scare-mongers, these two discredited components are among the most totemic in the AGW religion. Firstly, a new study, funded by Nasa (which may be feeling the need to rehabilitate itself post-Climategate) has revealed that the ridiculous claim in the notorious IPCC 2007 report that up to 40 per cent of the Amazon rainforest could be drastically affected by even a small reduction in rainfall caused by climate change, so that the trees would be replaced by tropical grassland, is utter nonsense. That assertion has already been exposed as derived from a single report by the environmentalist lobby group WWF. Now Dr Jose Marengo, a climate scientist with the Brazilian National Institute for Space Research and himself a member of the IPCC, says: “The way the WWF report calculated this 40 per cent was totally wrong, while (the new) calculations are by far more reliable and correct.” These calculations were done by researchers at Boston University and were published in the scientific journal Geophysical Research Letters. They used satellite data to study the drought of 2005, when rainfall fell to the lowest in living memory, and found that the rainforest suffered no significant effects. STATE COLLEGE, Pa. — The violent threats are not what bother Michael Mann the most. He’s used to them. Instead, it’s the fact that his life’s work — the effort to stop global warming — has been under siege since last fall. That’s when Mann suddenly found himself in the middle of the so-called “climategate” scandal, in which more than 1,000 e-mails among top climate scientists — including Mann — were obtained illegally by hackers and published on the Internet. The e-mails showed some of the scientists sharing doubts about just how fast the Earth’s temperature is rising, questioning the work of other researchers and refusing to share data with the public. Critics, including Sen. James Inhofe, R-Okla., have seized on the e-mails as proof that Mann and his colleagues deliberately exaggerated the scientific case behind global warming. In Denial – The meltdown of the climate campaign. The U.N.’s Intergovernmental Panel on Climate Change (IPCC), hitherto the gold standard in climate science, is under fire for shoddy work and facing calls for a serious shakeup. The U.S. Climate Action Partnership, the self-serving coalition of environmentalists and big business hoping to create a carbon cartel, is falling apart in the wake of the collapse of any prospect of enacting cap and trade in Congress. Meanwhile, the climate campaign’s fallback plan to have the EPA regulate greenhouse gas emissions through the cumbersome Clean Air Act is generating bipartisan opposition. The British media—even the left-leaning, climate alarmists of the Guardian and BBC—are turning on the climate campaign with a vengeance. The somnolent American media, which have done as poor a job reporting about climate change as they did on John Edwards, have largely averted their gaze from the inconvenient meltdown of the climate campaign, but the rock solid edifice in the newsrooms is cracking. Al Gore was conspicuously missing in action before surfacing with a long article in the New York Times on February 28, reiterating his familiar parade of horribles: The sea level will rise! Monster storms! Climate refugees in the hundreds of millions! Political chaos the world over! It was the rhetorical equivalent of stamping his feet and saying “It is too so!” In a sign of how dramatic the reversal of fortune has been for the climate campaign, it is now James Inhofe, the leading climate skeptic in the Senate, who is eager to have Gore testify before Congress.